As Bay Area news organizations and concerned residents continue to parse the information provided in The Bay Citizen’s fascinating bike accident tracker, the communities most vulnerable to bike injuries become more apparent. Last week, we wrote that the percentage of cyclists involved in bike accidents is nearly three times higher in Contra Costa County than in San Francisco County. In an even more troubling statistic, teenagers are the most likely to be killed or injured in Bay Area bike accidents. And matters are especially dangerous for teens in San Jose and Oakland. 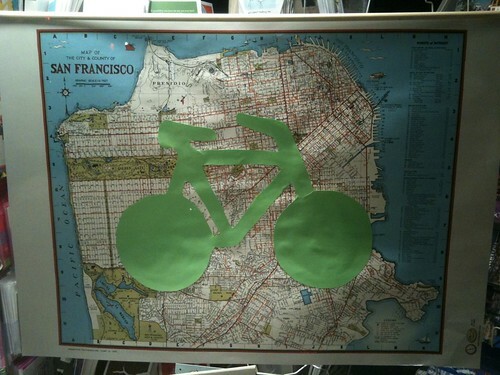 Between 2005 and 2009, there were more than 14,000 bike accidents throughout the Bay Area. Of those, a surprising 3,200 (23%) involved children aged 10 to 19. Half of those accidents involved children aged 12 to 16. According to the data, San Jose was the most dangerous Bay Area city, with 434 accidents, followed by a distant Oakland, with 193 bike accidents. Geography aside, the daunting statistics indicate that cities throughout the Bay Area need to boost efforts to improve bicycle safety and save lives. Part of the problem is that teens simply don’t know about California bicycle laws. Oakland Police Department Sergeant Steve Paich, for example, told the Bay Citizen that teenagers don’t even know they cannot bike through the crosswalk. “Riding in a crosswalk,” he said, “means you’re riding on the wrong side of the road,” which makes up for a large percentage of bike tickets. I hope the Bay Citizen’s great app will raise awareness about Bay Area bicycle danger. But making substantive changes to improve bicycle safety will take infrastructure improvements in addition to an attitude shift that will cause cyclists of all ages to take bicycle safety more seriously.